If you're willing to dig deep, this would be a lovely way to try all the different colognes. If money were no object, this is definitely one I'd love to own. Opening a door to find a Diptyque candle every other day? 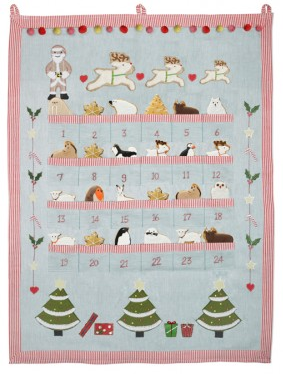 Another advent calendar I dream of owning. Presented beautifully as Charlotte Tilbury's Book of Make-up Magic. 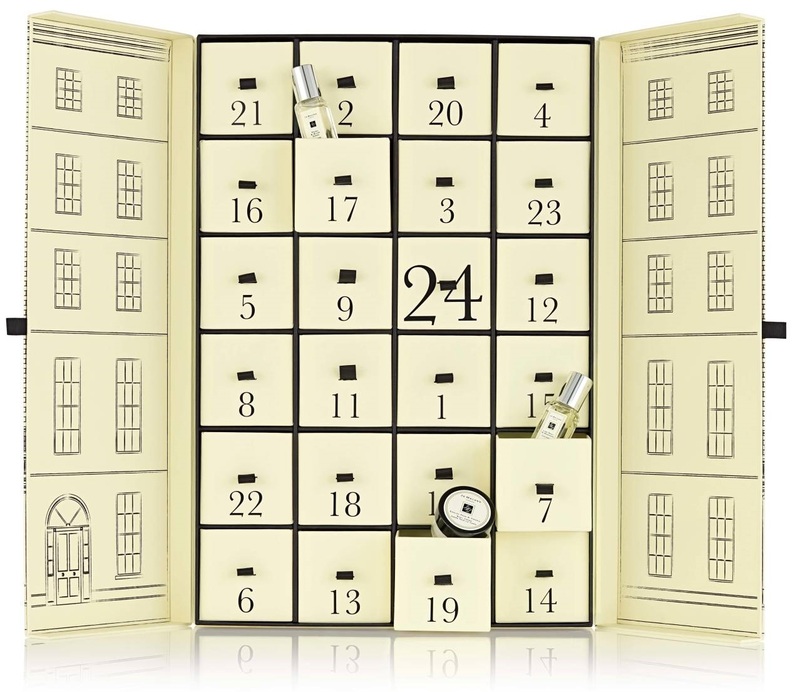 Not actually an advent calendar in the traditional sense on account of only having 12 doors... but when you think about the quality of product you are getting, suddenly just 12 doors is fine by me! 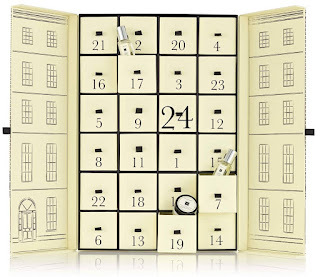 Aptly named 24 Happy Days, as Body Shop is one of my favourite brands, this would be a very happy 24 days indeed! Their calendar contains a mixture of minis and some generously sized products too, as the doors are all different shapes and sizes. Of these it contains a product from their Fiji Green Tea collection (which fyi I have been dying to try!) and products from their Oils of Life range. I believe this one is only available in-stores though. 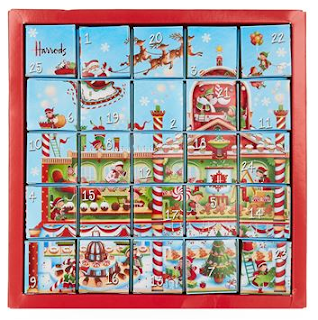 Besides traditional chocolate advent calendars, this is one of the more affordable advent calendars I've seen on sale this year. Comes complete with 25 tea bags, offering a selection of organic black and green teas. A tea-rrific idea! Who needs chocolate when you can have biscuits?! The beautiful home-made touches with this one means that no two advent calendars are the same. For those who question the durability of the biscuits, these reportedly have a decent shelf life so if you wanted to keep some of the biscuits for later in December / the New Year - no problem! 24 days of gin, vodka or whisky - the choice is yours! 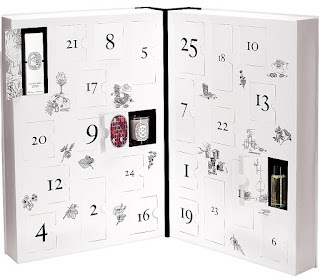 Gin lovers will especially love the Ginvent calendar which includes one base gin and 23 botanicals to add to it. Reportedly some of the flavours include lavender, saffron and nutmeg. Whether it's gin, whisky or vodka that you choose, you'll certainly have a very merry Christmas either way! Not got your advent calendar yet? Fear not, you've still got today to hunt one down! Which advent calendar is on your wish list this year? these are really cute, i think the designs are brilliant!